Here's another fun jewelry accessory you need to make. 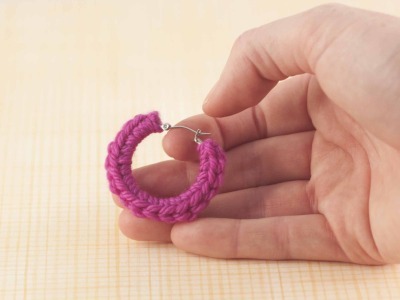 These little Quick Crochet Hoop Earrings are so cute, a great yarn stash-buster and perfect for summer. Make a couple pairs today! 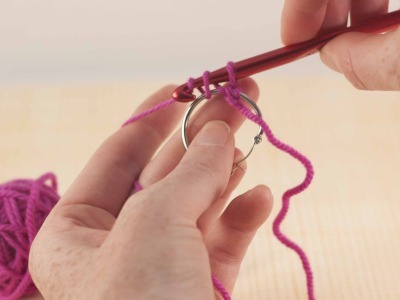 You will need about 5 yards of your favorite color of Wooly Worsted yarn, two 1" hoop earrings, scissors, a size J/10 6mm crochet hook and a darning needle for weaving in ends. 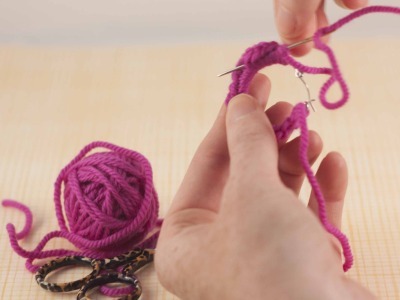 To begin, make a slip knot about 4" from the end of the yarn. 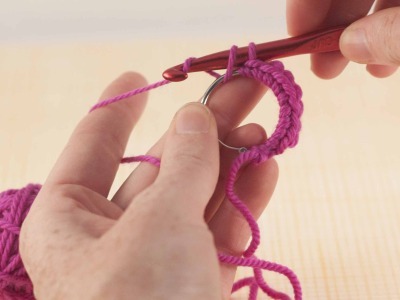 Slip the loop on the crochet hook. 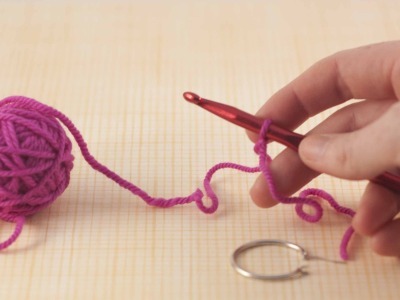 Insert yarn through the opening of the earring, wrap the yarn around the hook from back to front and draw this loop through the loop on the hook. 1 slip stitch made. Insert the hook through the hoop, wrap the yarn and draw up a loop. 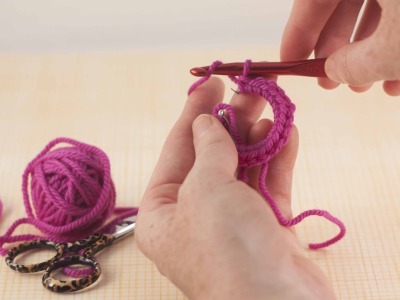 Wrap the yarn around the hook and draw this loop through the two on the hook. 1 single crochet made. 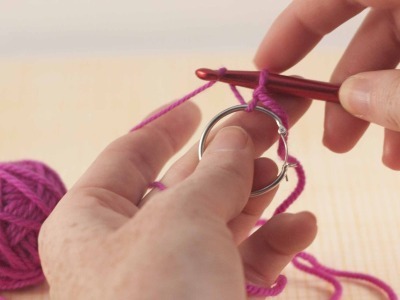 Continue working in this manner -- Insert the hook through the hoop, wrap the yarn and draw up a loop, Wrap the yarn around the hook and draw this loop through the two on the hook -- making single crochet stitches around the earring hoop. There will be about 16-18 stitches on your earrings. Cut the yarn leaving about a 4" tail. Pull the yarn through the last stitch on the hook to finish off. You're done! How fun was that? So much fun that you get to do it one more time. Repeat for the second earring. Click here to download the Quick Crochet Hoop Earrings PDF crochet pattern.